The decision to receive treatment for chemical dependency is a stressful time that impacts and involves not just the patient but their family and loved ones. It’s the same for recovery. The likelihood that a patient will recover from addiction successfully increases with the ongoing support of a healthy family and other recovery systems. That’s why the Recovery Center provides a special program for families of our patients. These weekly sessions are designed to assist those loved ones who want to participate in treatment. Family members will learn about chemical dependency and recovery through educational presentations, guided family or group discussions and guest speakers. They’ll also get support for developing new ways to help both the patient and themselves. This combination of activities assist each family by building upon existing strengths and resiliencies and offering hope and options to create positive changes. The weekly sessions take place on Tuesday evenings from 6-8 p.m. The Family Counseling session focuses on preparing all those involved for the patient’s discharge from chemical dependency treatment. The patient, invited family members and the family counselor will discuss a collaborative recovery plan, concerns, fears and solutions. For those patients with supportive family who cannot visit due to geographic or other considerations, we offer the option of a phone meeting with the family counselor. For those patients who have limited family participation, we offer the option of a meeting with someone else supportive of your recovery (i.e. 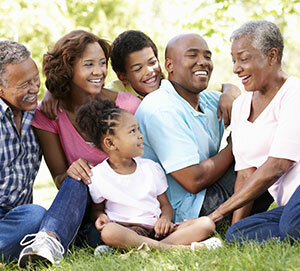 sponsor, boss, friend) or you may meet with the family counselor for an individual session.